Nurture Corona accommodates patients for long-term physical rehabilitation; sub-acute patients for general medical, surgical (pre- and post-operative), orthopaedic, oncology, urology and neurology rehabilitation, as well as personal wellness, including psychological and psychiatric services. 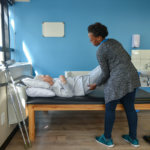 Nurture Corona provides acute and sub-acute inpatient and outpatient physical rehabilitation for people challenged with a wide range of disabilities caused by disease or injuries. Nurture Corona assists patients to achieve their highest level of functioning and independence following injury and illness as cost effectively as possible. 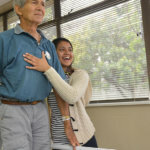 Each patient’s rehabilitation is carefully planned to meet their needs. Nurture Corona runs a wellness in-patient program, providing care and treatment to people with psychiatric and psychological challenges. The program is tailor-made to suit patients’ specific needs and includes individual therapy sessions, a variety of therapeutic groups, organised recreational activities to serve as a break from therapy sessions and personal time for relaxation, dining and rest. Corona Hospital is a Nurture Health Hospital and exists to inspire, support and equip our patients to lead a happy and fulfilled life.